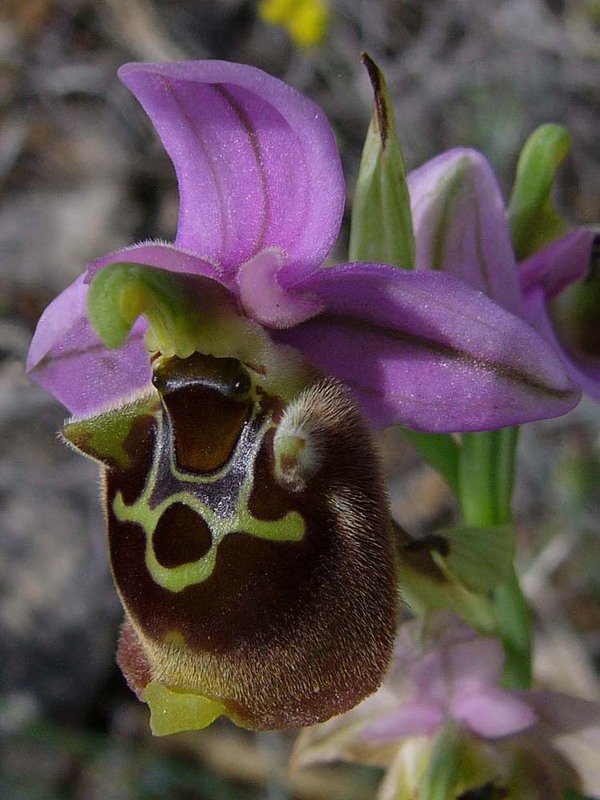 O. helios was first described from the Greek island of Karpathos by Kreutz in 2001 and is a member of the widespread and largely Eastern Mediterranean O. bornmuelleri group of Ophrys. 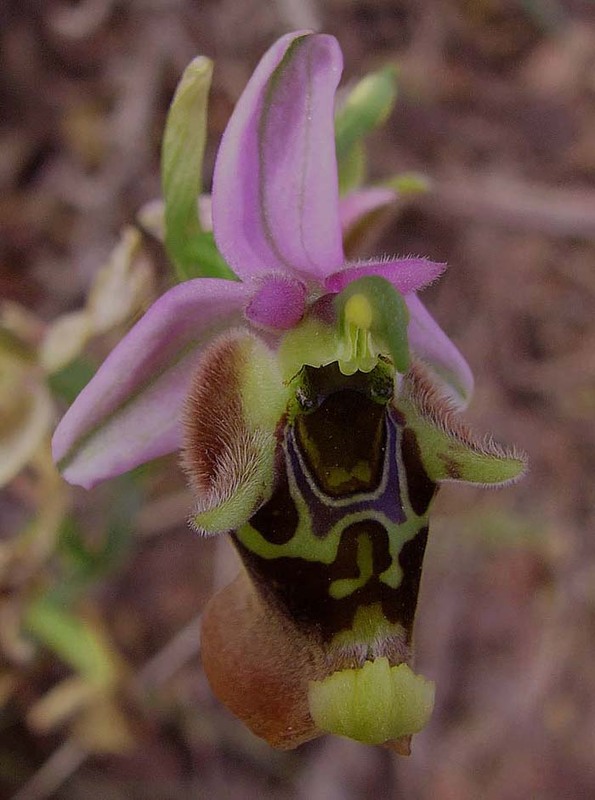 Up until the turn of the 20th century most authorities believed that the O. bornmuelleri group on Crete was only represented by O. episcopalis and that there were separate populations of an earlier flowering Ophrys which had become known as O. maxima (recently reclassified as O. colossaea on Rhodes). 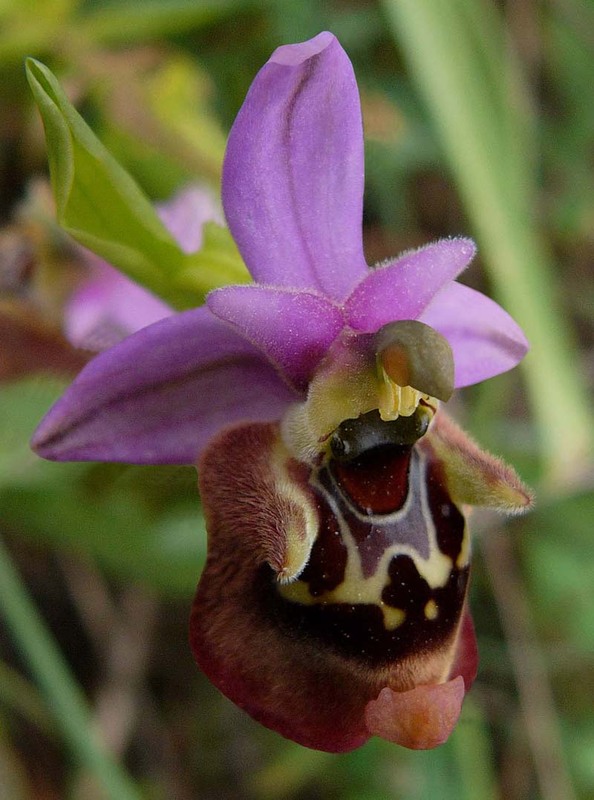 Both these species were thought to occur elsewhere in the Aegean and particularly Rhodes but research by Paulus and Hirth in 2009 has now confirmed that in fact the two species share the same pollinator and are in fact a single taxon. Nonetheless a further member of the group is now known to exist on the island and this is the recently described O. helios. The only real source of confusion when identifying O. helios is the presence on Crete of the well known and widespread O. episcopalis. 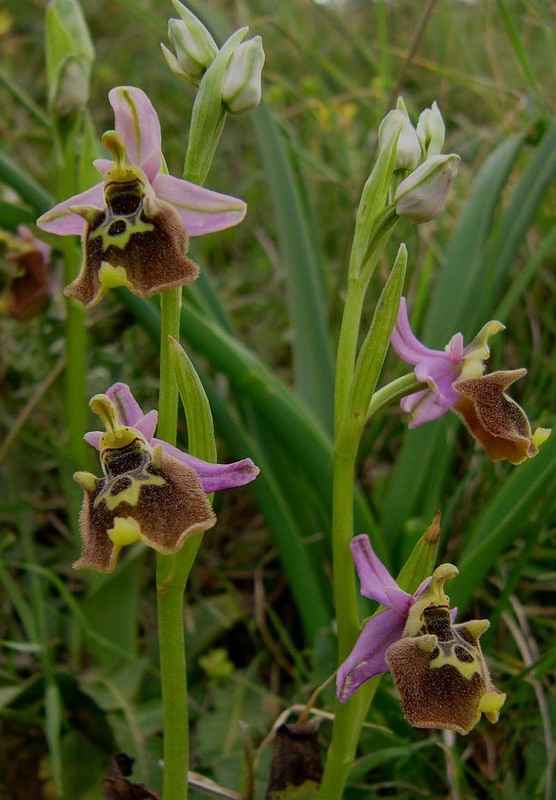 These are very similar orchids indeed and although the former species is a later flowerer, they may both be found concurrently, particularly during April. O. helios is however a smaller flower though appears rather broader at the shoulders and with more widely separated basal swellings that strongly curve outwards. Both of these species are hugely (and questionably) variable, appearing in forms that closely resemble the O. calypsus variants. We are confident that this species will receive further repositioning in the near future. The photographs accompanying this description are from Crete and date from the middle of April.